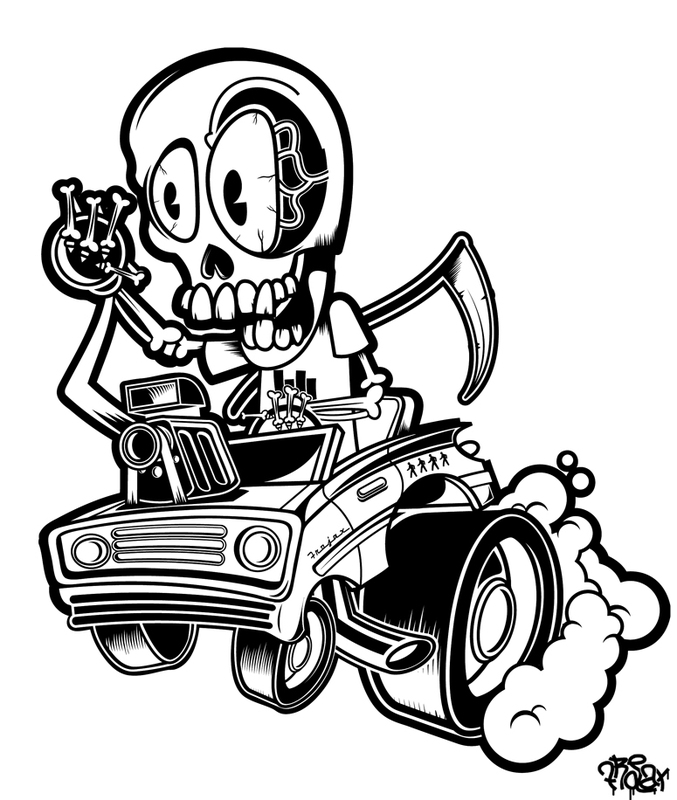 As of late I’ve been completely consumed and highly inspired by “Kustom Kulture” and early 40’s illustrations. A sideline fan, well more like a cheerleader of/for Hot Rod culture, a lot of my drawings have always been influenced by the aesthetics pertaining to said movement. Try as I may, I can’t really put my finger on it but it definitely has a certain alluring subversiveness to it. I’ve always looked to guys like Ed Roth (The Master), Tex Avery (The Ultimate Creator), John K., John Holmstrom, and of course Coop for inspiration and mainly guidelines. 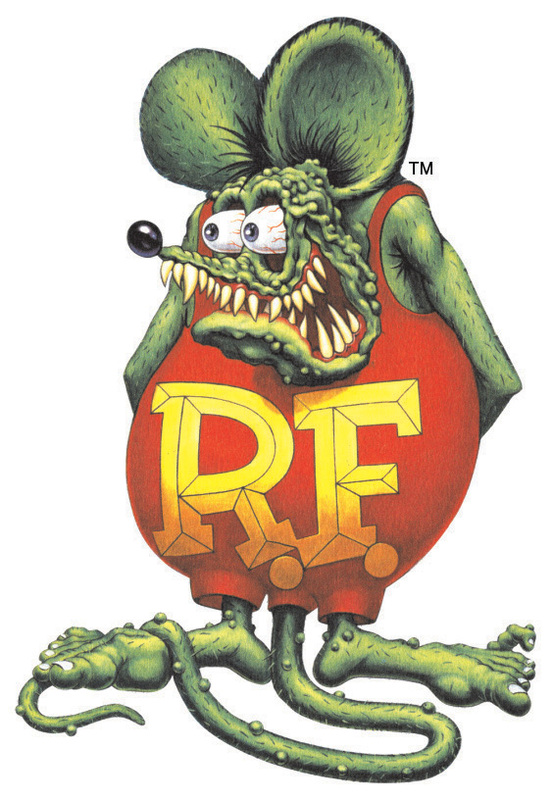 Humbling as it may be, no matter how many times I drool over Rat Fink and/or split my sides laughing while watching “Deputy Droopy“, one thing is for sure, I can always take something from what they’ve done. I’d say that this new piece was done in the spirit of rendering tribute to these fine folks. All incredibly subversive and maniacally poignant in the delivery of their artwork. Remember folks: If you are interested in using any of the illustrations that appear on this blog, and/or have any questions regarding John Frochaux’s (me) work and services please contact me at frojax@frojax.com. All content and images displayed on this blog are the sole property of John Frochaux. Unauthorized use may result in legal action against the respective parties. All rights reserved 2009. So be kind, rewind. sir you continue to amaze me… i had not seen all these designs. awesome!